Would you like to get more media exposure for your business or organization? A press release is a fantastic way to get your message out. 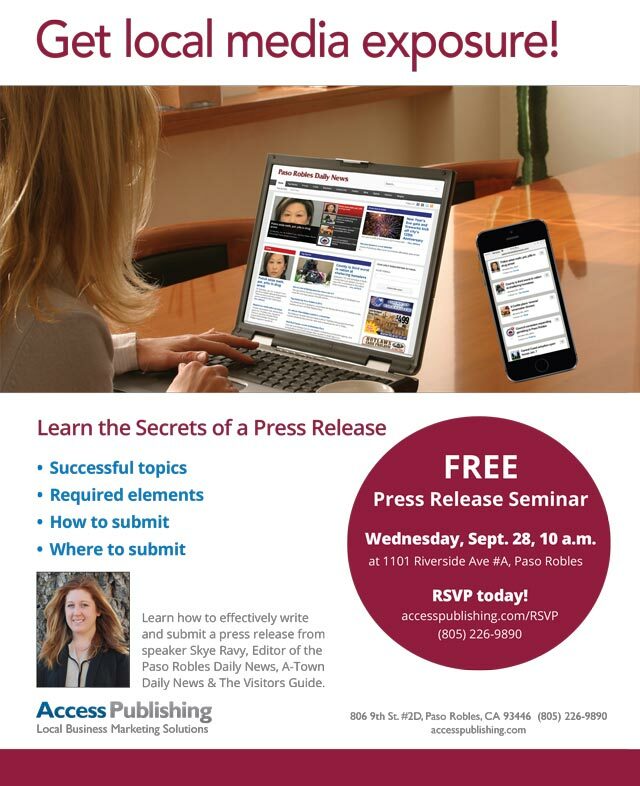 Learn how to effectively write and submit a press release from speaker Skye Ravy, editor of the Paso Robles Daily News, A-Town Daily News & the San Luis Obispo County Visitors Guide. Where: 1101 Riverside Ave #A, Paso Robles When: Wednesday, Sept. 28, 10 a.m.